Lighting is a crucial part of any live venue experience. 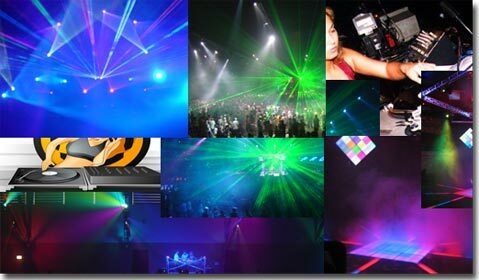 If music matters then lighting creates the event by providing the atmosphere and backdrop. The intense on-the-fly demands placed on the lighting operator in a club or dance party is unparalleled. The operator must be in complete control as changes can come at any pace. To cope with this the control solution must be able to keep up and provide access to a wide range of effects, scenes and transitions. LightFactory provides one of the most flexible interfaces available and works the way YOU want to work. With LightFactory once the looks and effects have been created the software allows the playback to be customised to suit you. 10,000 shortcuts provide instant access to any effect, palette, cue or anything. Playback unlimited effects at the same time. Up to 150 cue list playbacks at the same time. Music, MIDI and Timecode triggers. 5 Different effects engines to choose from. Effects can be saved to a library for recall on future shows. Large scale LED/Matrix wall effects. Layout and grid view of channels and fixtures. Multi touch screen ready for real on-the-fly control. User level access to prevent show and setup tampering. Steve Furzey BLM Production Services Sydney Australia. "Club and Dance Parties lighting control is different to all other type of control insomuch as the operator does not have a song run sheet, so instant access to all lighting options is essential. LightFactory allows me to separate the lighting into sub-groups without compromising movement or effects. I use the effects runners in conjunction with the play back wing and short cut wing for rapid access and operation. In this mode I get the versatility of a top of the range desk for a fraction of the price ( and weight!) Having used various software based lighting programs since the late 1970s. LightFactory is by far the best and is the closest “no compromise” option I have used and I will continue to use as my fist choice."